Published 13th April 2019 at 467 × 500 in Dogs Looking for Homes. ‘Jack’ 9 year old castrated male Jack Russell. Jack is looking for a home as he was proving too much for his owners. He doesn’t get on with other dogs and he gets agitated by things moving past him, which led to him going for a child on a swing. 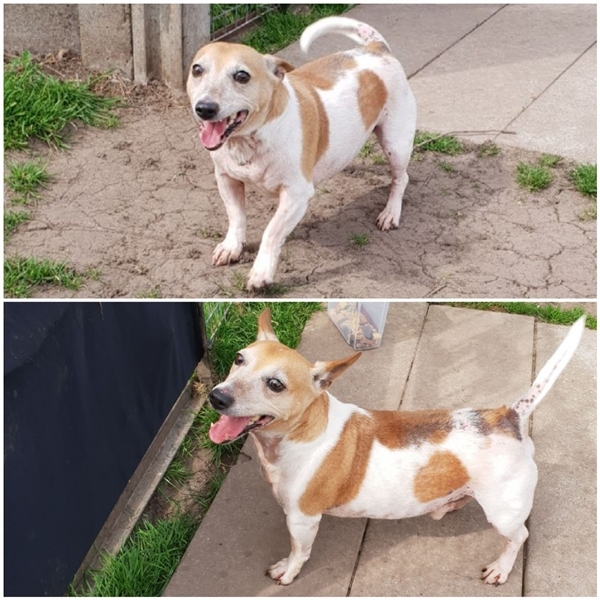 He is very typically Jack Russell character and needs a child-free home with someone familiar with this ‘character’ and happy to deal with it.